We played checkers this afternoon. As we played, I was black and you were red. I advanced across the board, and upon reaching the other side, we would both say, "King me!" It occurred to me that this could definitely serve as a parable. If we do not advance across the board, there is no possibility of declaring, "King me!" 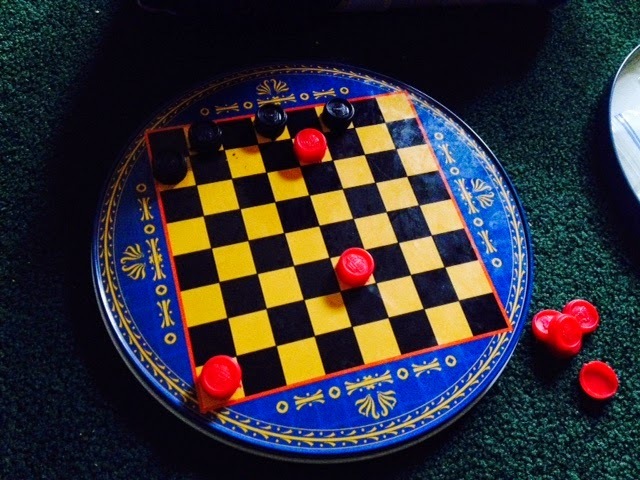 And what fun is checkers if no one ever gets to be a king? We must advance or there is no purpose to playing.